Occupancy costs, or operating costs as they can be referred to, are the hard costs associated with the tenant’s proportionate share of the building. It is prudent to ask for a breakdown of what costs are included, and more importantly not included. Unanticipated costs cropping up after a lease is signed can make or break a new, small business. It’s important to understand what services the landlord will provide within the occupancy cost budget. Snow removal, for example, may be included for a common industrial parking lot but not for individual rear compounds. Tenants typically pay for building insurance through occupancy costs. Liability insurance, however, is additional and required in most leases. Knowing the value of the insurance the landlord requires prior to the lease can be helpful in planning. Getting a rude awakening to this cost can be debilitating. Many businesses already carry liability insurance prior to entering into a lease. Often the address can just be added to an existing policy, so long as the insurance meets the requirements of the landlord’s lease. This is a question I get often. What if I need to leave before my term expires? The term is set in place and agreed to by both parties. In doing so, you’ve made the commitment to stay to the end of pre-determined date. No tenant should commit to a lease looking for an out. In most cases there really isn’t one. 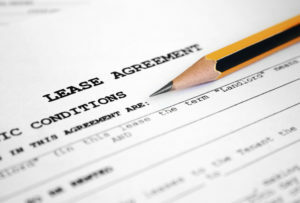 Leaving prior to the lease expiry constitutes a break in the legal contract. Tenants may have a variety of reasons why they don’t want to enter into a long term lease. Landlords certainly tend to prefer longer terms, but you never know until you ask. To ensure the most successful relationship between landlord and tenant, both parties need to be educated on the terms of the agreement. Tenants who review their lease completely find themselves less surprised and more prepared. Lease education is power I say!